Maryland Film Festival's highly-anticipated Friends of MdFF Programming Preview will take place Sunday, April 8th at 5:00pm at the SNF Parkway! This is an event just for current Friends of MdFF and is not open to the public. The annual members only Programming Preview features highlights from our 2018 Maryland Film Festival lineup. The event is hosted by MdFF Founding Director Jed Dietz and our Programming Staff, and will be followed by a Q&A with the audience. This is your chance to get a special taste of this year's 20th anniversary festival before the public—you won’t want to miss it! Join Friends of MdFF and support our mission to bring quality films, filmmakers, and audiences together. Members enjoy special access at our annual festival, year-round discounts at the SNF Parkway and surrounding area dining partners, and free screening opportunities! For more details, visit our website and join today! 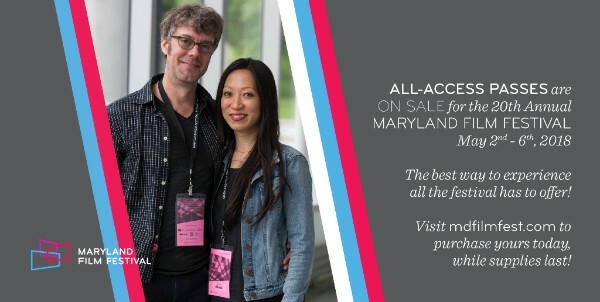 All-Access Passes for MdFF 2018 are on sale to the public for $425! Purchase yours today on the web, while supplies last!